It’s a new year- how are you training your team to remain competitive? Any company’s most valuable asset is its human capital, so investing in your people is a smart way to start the year. Making sure you’re investing effectively, though, is a matter of paying attention to the trends in learning and development that are being successfully utilized by efficacious corporations in 2019. Use training as an incentive. When your company offers up-to-date training, using new tools and mediums and utilizing current technology, it can put you ahead in the competition for new talent. What’s more, learning and development can be leveraged as an employee benefit, helping you engage and retain your current employees as well as attracting future employees. Positing training as part of your benefits package, right alongside your retirement and health plans, makes good use of your resources. Focus on soft skills development. Technical knowledge and business sense are important, but without the development of soft skills like emotional intelligence, negotiation, collaboration, and communication, employees are not going to reach their full potential. Companies looking to broaden their reach, increase their diversity, and build a meaningful corporate culture that fosters employee retention and improves leadership skills would do well to incorporate soft skills into their training programs. Embrace gamification. Gamification is useful not only because it acts as a built-in reward system for employees, but also because it can be used to enhance digital skills. Digital skills should be a major focus of any training program because the speed at which technology moves necessitates the continual development of this kind of knowledge. Collaborate with executives. One important trend on the rise is the participation of the C-suite in planning the company’s training program. 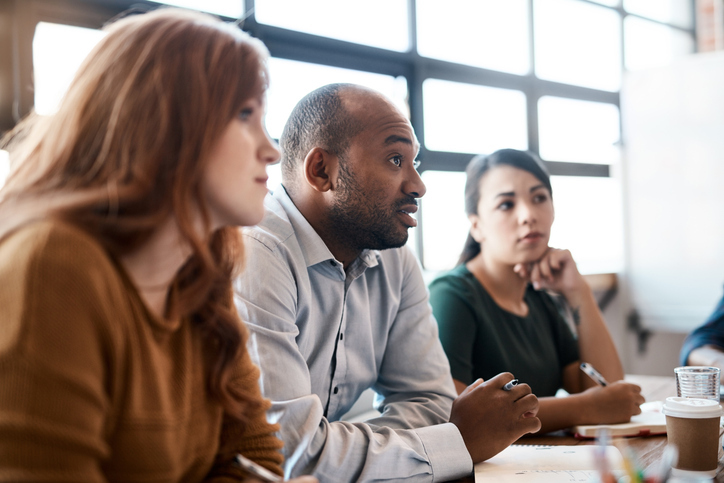 When HR and the top executives work together to build a culture of learning, it makes it easier to promote the exact goals the leaders are looking to achieve. Personalize learning. One size fits all is a dated concept that doesn’t work in today’s corporate climate. In order to provide effective training, it’s important to target the particular needs of the employee, focusing on the necessary areas of improvement while also engaging and offering personalized feedback. When you’re planning an employee training event, look to a location that understands how to facilitate learning. At Texas Training and Conference Centers, we pride ourselves on the high-quality equipment and exceptional service you’ll find at our training facilities. Our computer labs and other spaces come equipped with internet accessibility, printers and fax machines, Wi-Fi setup, on-site tech support, full projection systems, workstations, whiteboards, and computers furnished with the most cutting edge technology, to ensure that your training event is a success. Soundproof rooms, continental breakfast, and optional catered lunches are just a few of the other ways we provide the little niceties that make a big difference for your event. To learn more about the computer specifications and other information about Texas Training and Conference Centers, call us at 832.982.1708 or contact us through our website.